This listing has been removed apparently. 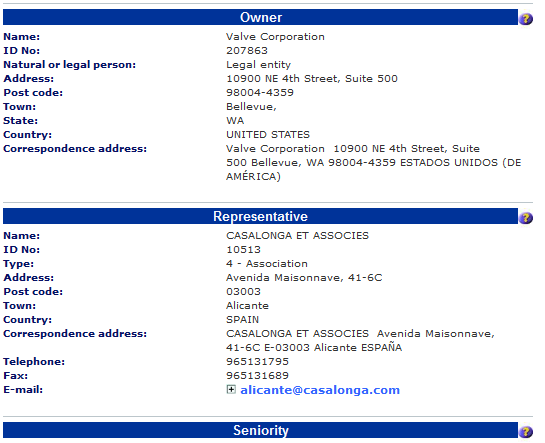 We can now confirm that the "Half-Life 3" trademark has been removed from the Trademarks and Design Registration Office of the European Union (OHIM) website. 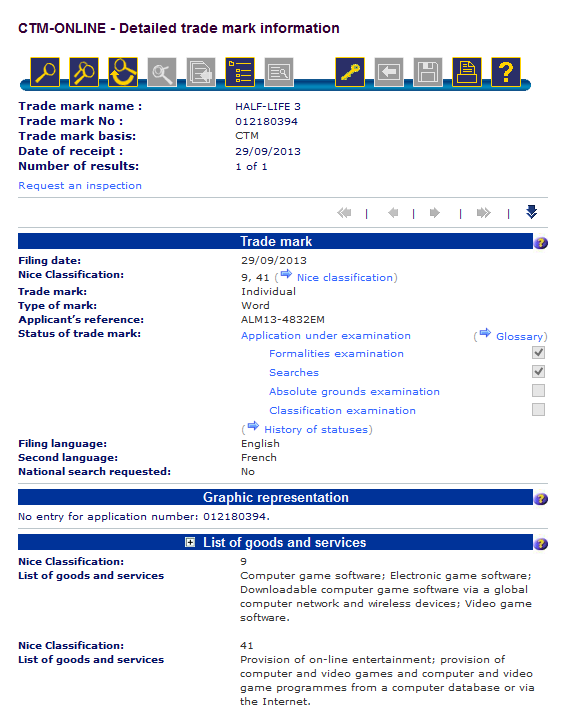 The entrant appears to have disappeared entirely after only being listed on the website database for little over a week, allowing us to identify that the trademark's listing was more than likely a hoax intended to generate fake buzz for a game which is unlikely to appear for several years. Returning readers may remember when we had discussed how the "Half-Life 3" listing was previously never officially checked or authenticated before its removal.